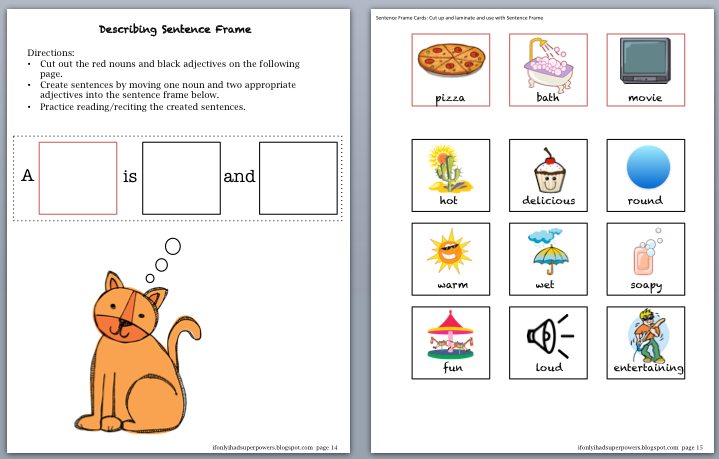 Inspired by the book "Giggle, Giggle, Quack", this freebie does not need the book at all! 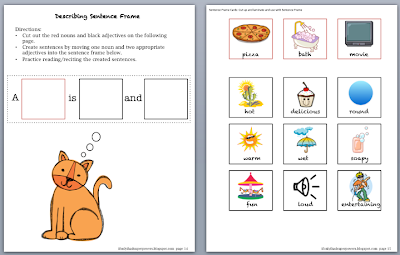 It works on 2 part descriptive skills for common objects (pizza, bubble bath, movie) as well as "is". Use this sentence frame and create your own descriptive sentences! This freebie is a "Download Preview" of a larger book unit. You can get read more about it on my blog post here.